Now the market, most of the simulation is used vine, which is PE rattan. Specific gravity: 0.94 --- 0.96g / cm 3, molding shrinkage: 1.5-3.6%, molding temperature: 140-220. Because rattan outdoor furniture is made of textile, the appearance of the composition of the need to use a short brush or brush with a vacuum cleaner to clean, and then scrub with cotton. 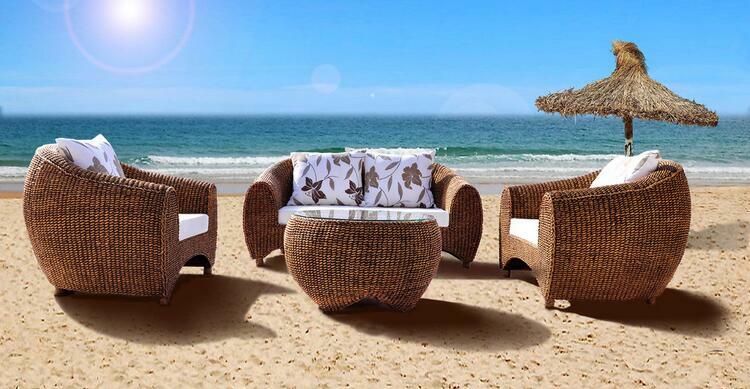 Rattan outdoor furniture for a long time in the sun exposure, relatively easy to lose the original luster, or even cracks, so be sure to prevent. If you live close to the mountains or every dry season, when the time should be dehumidifying regularly to ensure that it is dry. Because of the use of time is too long or improper use of part of the damage caused by the need for professional repair, to extend its life. As for the deployment of the cushion is often prepared to prepare more than two groups, not only but can increase the life of the chair cover, and can be replaced at any time not the same home style.